A gorgeous novel by the celebrated author of When the Emperor Was Divine that tells the story of a group of young women brought from Japan to San Francisco as “picture brides” nearly a century ago. 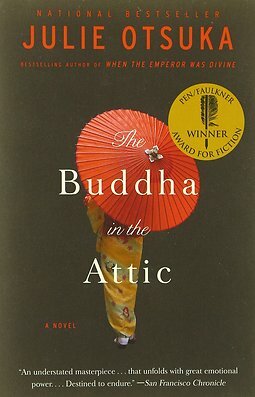 In eight unforgettable sections, The Buddha in the Attic traces the extraordinary lives of these women, from their arduous journeys by boat, to their arrival in San Francisco and their tremulous first nights as new wives; from their experiences raising children who would later reject their culture and language, to the deracinating arrival of war. Once again, Julie Otsuka has written a spellbinding novel about identity and loyalty, and what it means to be an American in uncertain times.